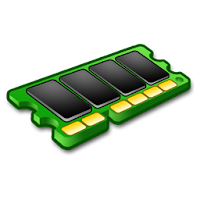 Memtest86 is considered by the majority of the hardware testing community the number one application when it comes to defective RAM sticks. The answer to the question regarding the working state of the installed memory modules comes fast with Memtest86 and that is what matters the most besides the certainty of the verdict. Write a cell with a zero. Write all of the adjacent cells with a one, one or more times. Check that the first cell still has a zero. It should be obvious that this strategy requires an exact knowledge of how the memory cells are laid out on the chip. In addition there are a never ending number of possible chip layouts for different chip types and manufacturers making this strategy impractical. However, there are testing algorithms that can approximate this ideal and MemTest86does just this.